Following the Civil War, the U.S. Army was in dire need of quality horses to mount its cavalry. To solve this problem, the U.S. government turned to a group of very dedicated and determined breeders. These breeders and the resulting United States Remount Service worked together for 40 years progressing the bloodlines of the American Quarter Horse and mounting the nation's cavalry on some of America's finest horses. Many of the American Quarter Horse Association Hall of Fame breeders, such as Dan Casement and Hank Wiescamp, and Best Remuda Ranches, like the 6666s Ranch, Spade Ranch and Waggoner Ranch, contributed to this progress. This would set the foundation for the bloodlines of some of the Hall of Fame's most famous horses, Peppy San Badger, First Down Dash and Doc Bar to name a few. 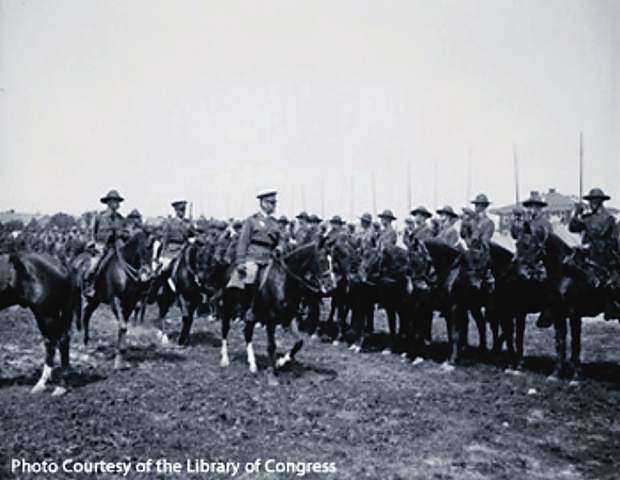 On May 14, the American Quarter Horse Hall of Fame & Museum will debut its newest exhibit, "War Horses: Bred to Serve." The exhibit will highlight the special role of the U.S. Army Remount program in the progression of the American Quarter Horse bloodlines. Some of the earliest foundation horses trace back to U.S. Remounts, with many ranches owing the success of their breeding programs and initial solvency to the program. "War Horses: Bred to Serve" will give museum visitors an opportunity to learn about the United States Remount Department, how cavalry horses were bred and acquired and how the program impacted many of the American Quarter Horse Hall of Fame horses and breeders, as well as the programs of many Zoetis-AQHA Best Remuda ranches. The funding for the "War Horses: Bred to Serve" exhibit was generously provided by John P. Collins in memory of Johanna L. Collins and Friends of the Museum. The exhibit will run May 14 to July 26 at the American Quarter Horse Hall of Fame & Museum in Amarillo. 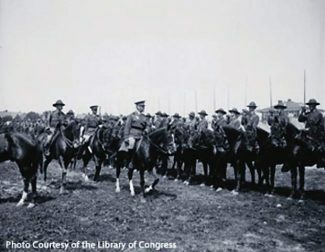 For more information on the "War Horses: Bred to Serve" exhibit, visit http://www.quarterhorsemuseum.com.